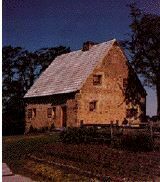 The 1719 Hans Herr House, built in that year by Hans son Christian, is the oldest surviving dwelling place of European settlers in what is now Lancaster County, Pennsylvania. It is the oldest still-standing Mennonite meeting house in the Western Hemisphere. It is reputed to have been the home of Hans Herr and his wife Elizabeth. It was certainly the home of Christian Herr and his wife Anna, and several of Christian and Annas children. Both Hans Herr and Christian Herr were bishops of the Mennonite faith. n 1711 a group of Mennonites built homes by the Pequea Creek in Lancaster. They were the first white settlers in the area. The city of Lancaster did not exist. Hans Herr, whose house still stands and is restored, was in this first group. Worship services were held in his home. On cold nights the Conestoga Indians came inside and slept by the fire. In 1714 Martin Kendig, who had settled in Lancaster with this group, was sent back to Europe to help other Mennonites emigrate to Pennsylvania. Our ancestors Valentine Klemmer, Henry Funk, and Hans Detweiler were in the group that resulted from Martin Kendig's efforts. In 1717 they were among the 30 families who emigrated to Philadelphia. Martin Kendig returned before the families arrived to secure land for many of them near Conestoga. One of William Penn's agents accompanied them to Conestoga and referred to them as "long bearded Switzers." While the Mennonites with Zurich ancestry, like Bishops Benedict Breckbill and Ulrich Burkholder, moved immediately to the land secured for them in Conestoga, our ancestors remained in Germantown a few years before settling in Bucks County, and Philadelphia (now Montgomery) County. Valentine Klemmer was a weaver in Germantown before he moved to Milford Township, Bucks County, PA. There was frequent visitation between the Mennonite Communities in Germantown, Skippack, and Conestoga. Two or three times a year the Conestoga Mennonites loaded up their market wagons with furs from the friendly Conestoga Indians, wheat, butter, and hemp to make the two day trip to Philadelphia. In Philadelphia these items were sold and loaded onto ships bound for Europe. The Mennonites then bought things they needed and loaded those items onto the wagon for the return trip back to Lancaster County. The seventy mile ride to Philadelphia could be treacherous, especially in wet weather, when the wagon wheels made huge ruts in the road. On one trip Bishop Burkholder's son fell from the wagon and was killed when the wagon ran over him. Another time brushfires destroyed some of the wagons traveling from Conestoga. Although there were inns between Lancaster and Philadelphia, the Mennonites usually slept in or beside their large wagons. In Germantown they probably found lodging with their Mennonite brethren and former "ship mates" like our ancestor Valentine Klemmer. When our ancestors moved from Germantown to Bucks County, they still had contact with the Conestoga Mennonites. Tradition says that Bishop Valentine Klemmer died in Lancaster while on church related business and was buried there, possibly in Mellinger's Cemetery (1918 Lincoln Highway East). 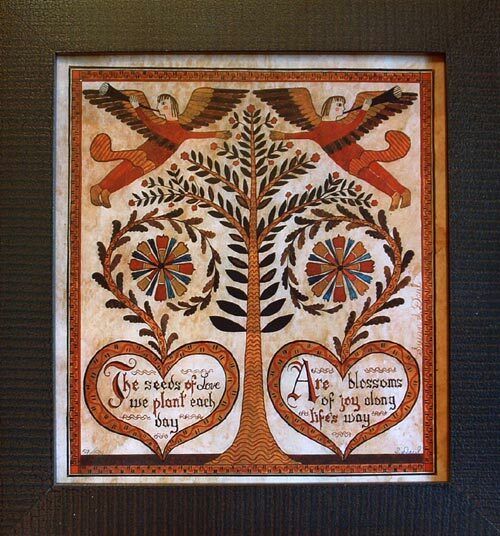 It is likely that Valentine worshiped with the Conestoga Mennonites in the Hans Herr house. In 1727 Christian Herr and others from Conestoga traveled to Skippack (Montgomery County) to sign the Mennonite Confession of faith that had been translated into English. Valentine Klemmer also signed that document. The Skippack Meetinghouse had just been completed and they most likely met in it. Valentine's son Henrich (our ancestor) was a stone mason and helped to construct the meetinghouse at Skippack. In 1748 the very important book THE MARYR'S MIRROR was translated from Dutch to German and reprinted at the Ephrata Cloister. It was the largest book printed in colonial America and contains several thousand stories of the early Christian and Anabaptist martyrs. Our ancestor Henry Funk and his best friend Dielman Kolb traveled the 60 miles between Montgomery County and Ephrata many times to oversee the translation of this important book. One of the original copies can be seen in the restored Hans Herr house and was owned by Hans Herr.